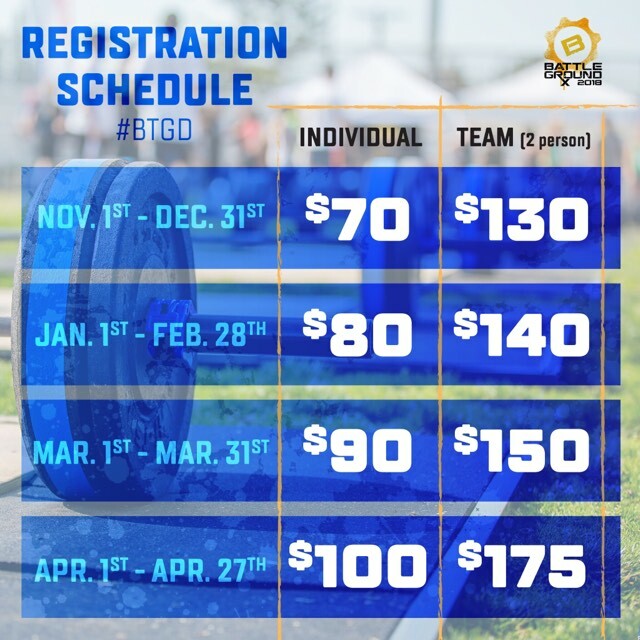 Battleground SoCal is a beginner friendly individual and group fitness competition. Our mission is to bring together the socially conscious CrossFit community of the SoCal area in an effort to raise awareness and funding for a cause dear to our heart, Autism & the special needs community. April is National Autism Awareness Month. Proceeds from the event benefit Train 4 Autism Foundation & its CrossFit for special needs program. All athletes receive competitor T-Shirts and goodie bags. All podium finishers receive our signature kettlebell plyo box trophies. There is plenty of on-site parking which the City charges $5. Battleground South Bay is a friendly, beginner-focused fitness competition. 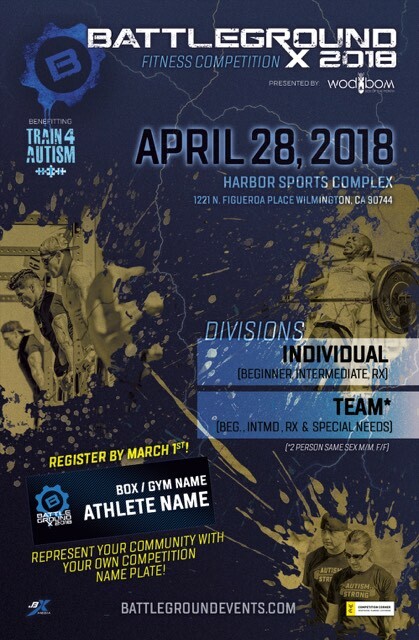 Our mission is to bring together the socially-conscious CrossFit community of the Los Angeles-South Bay area in an effort to raise awareness and funding for a cause dear to our heart, Autism. Proceeds from the event benefit Train 4 Autism Foundation & its CrossFit for special needs projects.